The Falcon, Bisti Badlands, New Mexico ©2017 James D Peterson. If you look at this image, made just after sunrise, with the right eyes, you might see the Millenium Falcon hovering over an alien planet. 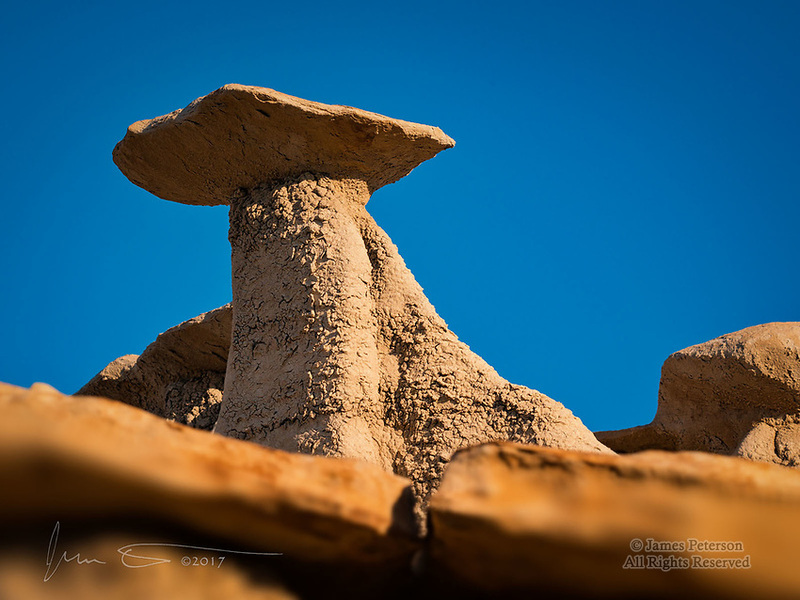 Or, with different eyes, you might see a mudstone hoodoo in this otherworldly landscape of the Bisti/De-Na-Zin wilderness in rural San Juan County. Either way, enjoy!